Welcome Little One! 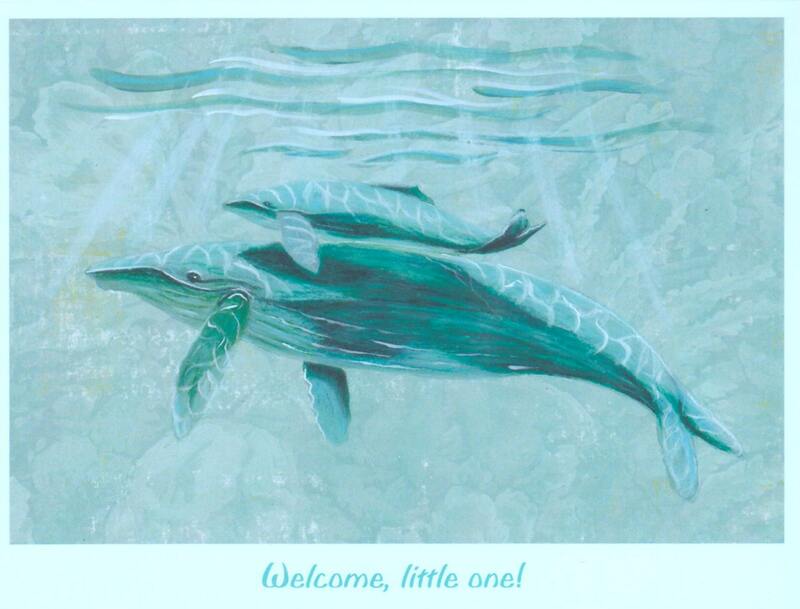 A mother whale and her calf are the perfect pair to welcome a new baby. This makes a sweet shower or new baby card. The color scanned a bit duller, it's better in person!